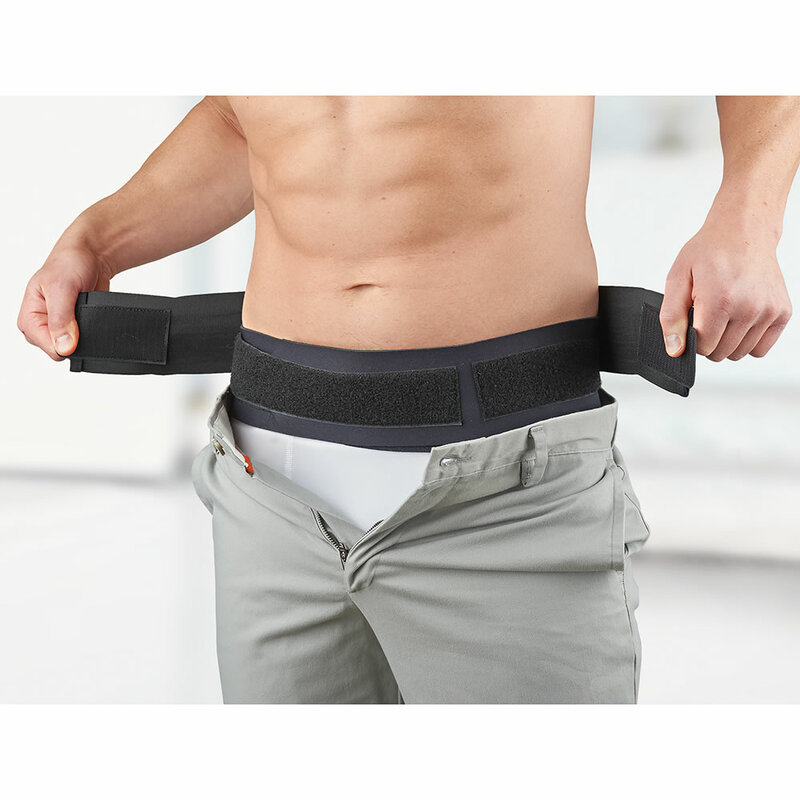 This is the compression belt that relieves lower back pain without the conspicuous bulk of lesser models. It stabilizes the sacroiliac joint to encourage correct posture and relieve lower back pain. Its low-profile design uses hook-and-loop fasteners for a custom fit under clothing for all-day comfort. Sizes M (hip size 34"-40", L (40-46), XL (46-52), and XXL (52-58). Hip Size 34" - 40" 40" - 46" 46" - 52" 52" - 58"
The Under Clothing Lumbar Pain Relieving Belt comes with The Hammacher Schlemmer Lifetime Guarantee. Items that we sell are guaranteed for their normal life under standard non-commercial use.